*** IMPORTANT – a new Youth Protection Training course has been developed. All direct-contact leaders MUST take the new course by recharter time, to remain active in BSA. To this end, a revised Youth Protection Training (YPT) program has been developed. There are sufficient changes incorporated in this new Youth Protection Training that all current adult leaders are required to take the training by October 2018 – regardless of their current YPT trained status. 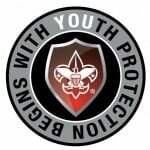 The YPT course is available on-line through my.scouting.org. All current direct-contact leaders MUST take the new Youth Protection Training by recharter time, to remain registered with the Boy Scouts of America. No new leader can be registered without first completing youth protection training. No council, regional, or national leader will be allowed to renew their registration if they are not current on their Youth Protection Training. No unit may re-charter without all leaders being current on their Youth Protection Training. Registrars no longer have the ability to approve charters without full compliance. In-person: If a leader prefers a classroom version of the training, information concerning convenient schedules and times is available by contacting a local district executive. Please be aware that the face to face class is 2 hours long and you must do it all and can not leave one and attend parts of another class. The following training are open to anyone in Scouting (no matter what Council you are in). Digital: my.scouting.org— Login and take the coarse when it fits your schedule best. my.scouting.org— The place to go to take coarses and check your online Scouting profile. National page on YPT— Learn more about YPT and why it is so important to Scouting.